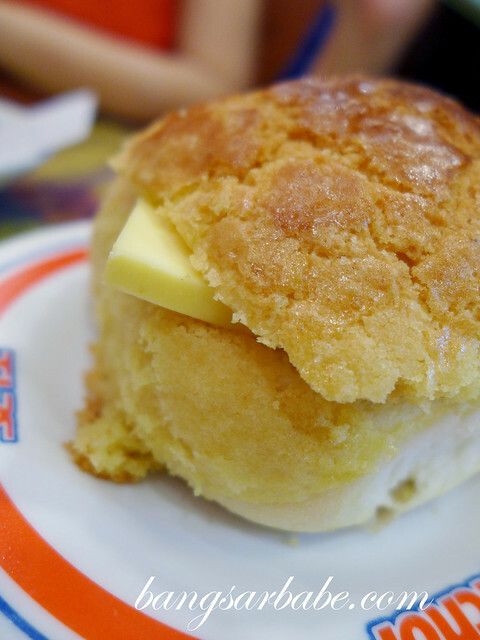 On our third day in Hong Kong, rif had to work so I met up with Mei who took me for a snack of Polo Bao (pineapple bun) at Kam Wah Café. 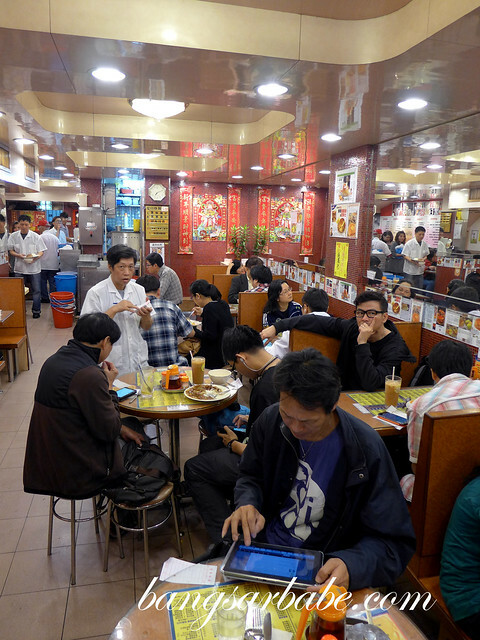 Located along the bustling Bute Street in Mongkok, Kam Wah is perpetually crowded especially during breakfast time. The place seats about 40 people, so you will need to share or wait for a table if it’s a full house. We were lucky to be there at 6pm, so the crowd wasn’t as crazy and the staff were pretty nice to us. The polo bao had a crusted top that crumbled in the mouth with each bite. This experience was further heightened with a thick slab of butter wedged in the centre. If only I got one that came piping hot from the oven; that would have been more awesome. 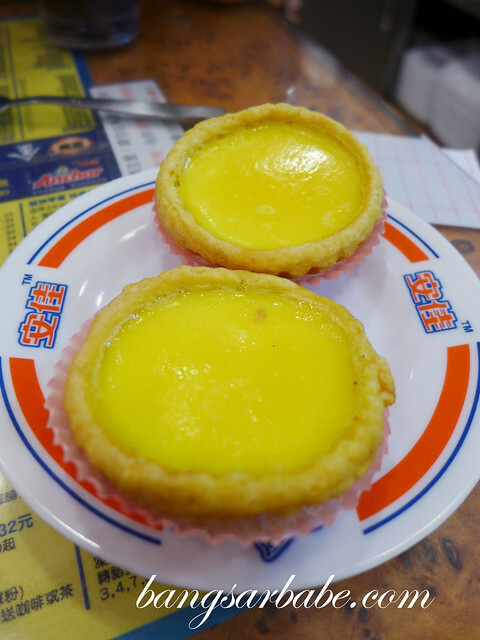 We also tried the egg tart, which I found just average. The crust wasn’t the flaky variety — it was more doughy. 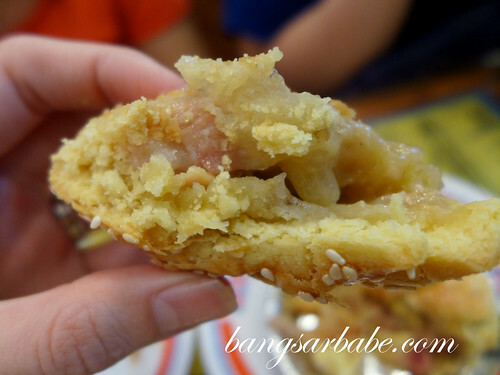 I still feel Tong Kee and Nam Heong in Ipoh make better egg tarts. Personal preference, I guess. The chicken pie however, was very tasty. It didn’t look like much but the pie pastry was crumbly and richly buttery, while the filling was chunky and savoury with a light peppery aftertaste. 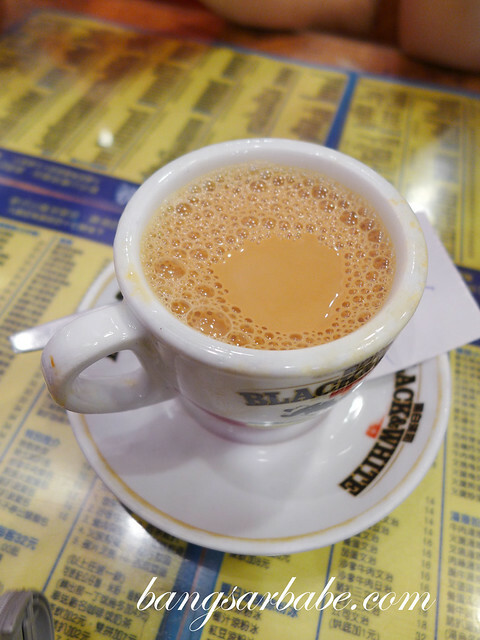 I had all the above with a hot cup of milk tea – aromatic, bold in flavour and good to drink sans sugar. 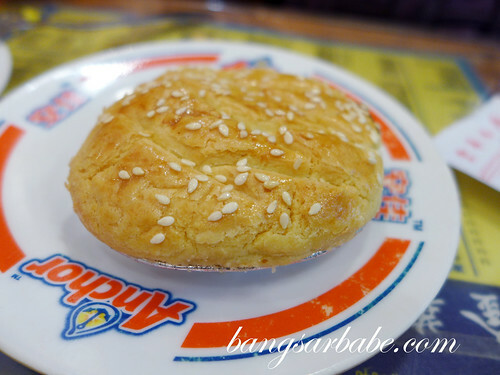 That night, I raved about my polo bao and chicken pie experience just to make rif jealous. 😛 I’m definitely going back for more polo bao and to try the pork chop bun next trip! To get to Kam Wah Café, take the MTR to Prince Edward and exit B2 (between Tung Choi St and Sai Yeung Choi St.). Once you exit, cross over to the right side of the street, go straight ahead and turn left at the Bute Street junction. 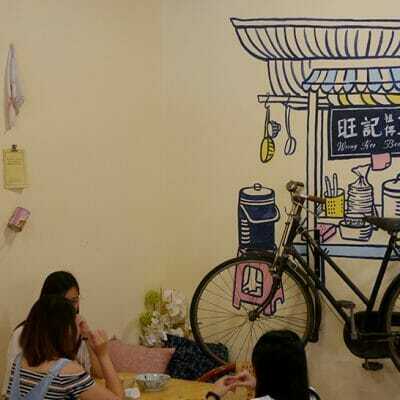 Verdict: The polo bao and chicken pie are a must-try. Yeah. 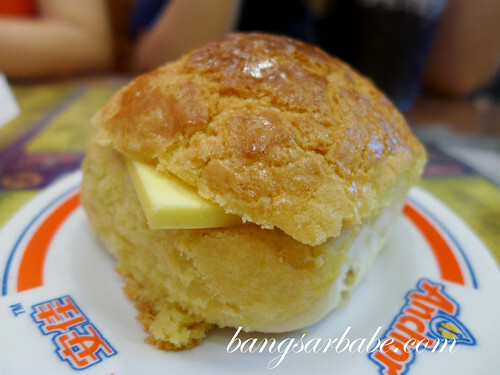 Really yummy polo bun and with the butter it is so match for each other.